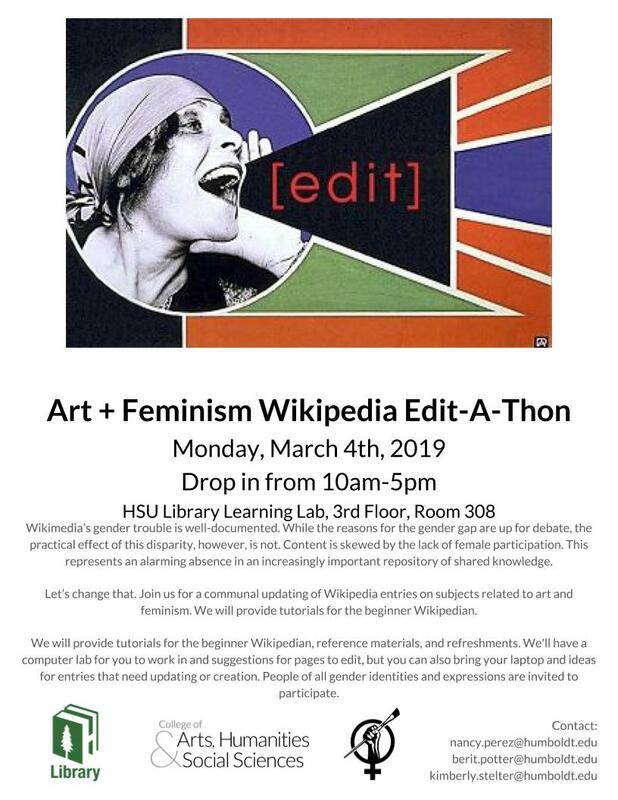 Join us for a communal updating of Wikipedia entries on subjects related to art and feminism. 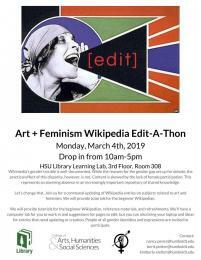 Tutorials for beginner Wikipedians will be provided along with reference materials, and refreshments. Drop in to the Library Learning Lab, 3rd floor, L308 from 10am-5pm on Monday, March 4.